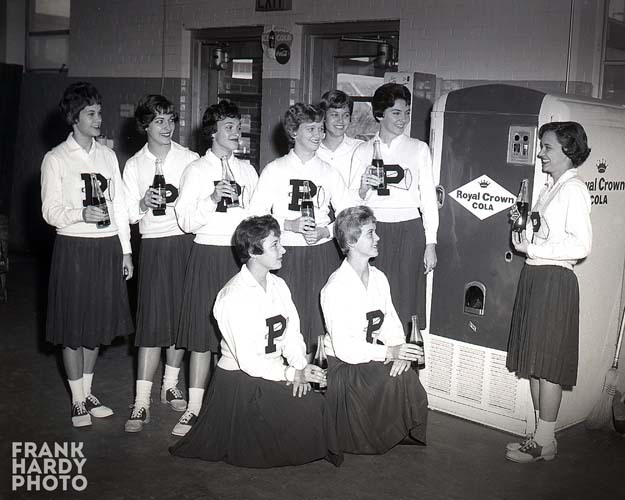 Glenda, the kneeling “Tiger” in your Annona may be Johanna Fitzpatrick, sister of Jim in my ’59 class. That photo of the Cheerleaders are also in my 1959 annual. I also went to Pensacola High School and all these cheerleaders were in the 11th grade with me. 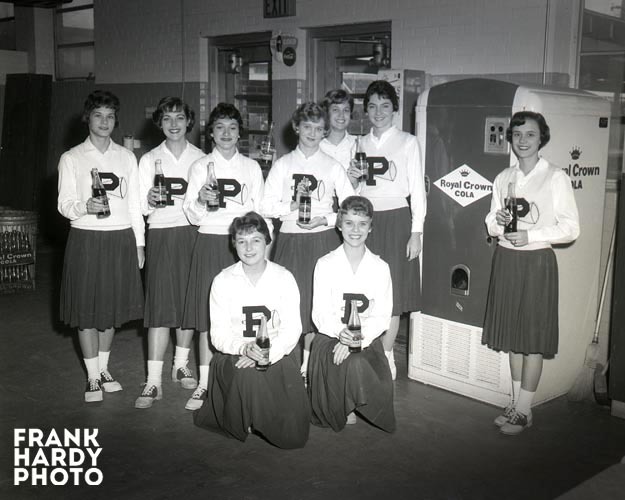 The only name I see missing is Beverly Williams which was also in a similar photo gathered around the RC Crown Cola Machine. This one has a kneeling tiger in it. Keep up the good work, I really enjoyed seeing all the old photos of Pensacola. It is always good traveling down memory lane! That will be nice to see the negatives. Thank you so very much!! Chick is alive and well in Gainesville, FL. I was going to identify the PHS cheerleaders for you, but I see Carl beat me to it. I have not seen him or heard that name for over 50 years! Good to know he is still alive.